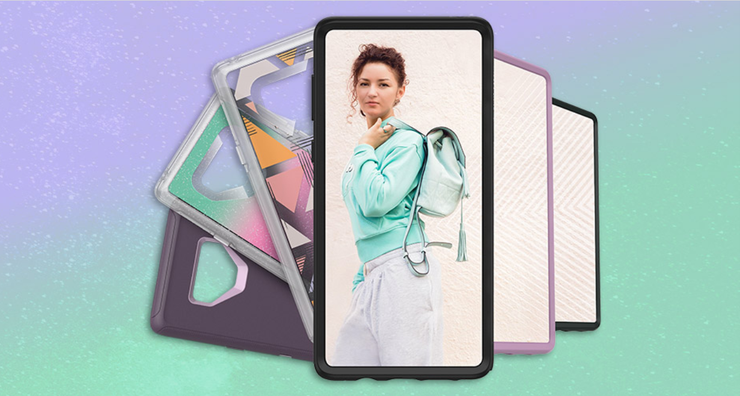 The OtterBox lineup for Note9 includes the Symmetry Series, Defender Series, Commuter Series and Alpha Glass screen guards. The Symmetry Series is available in clear, graphic and solid colour options. Symmetry Series pricing starts from $64.95. The Defender Series features port covers that keeps dirt out of ports, while a two layer construction keeps the Note9 sage from drops and bumps, according to OtterBox. The Defender Series is available for $89.95. The Commuter Series has two layers of protection with a shock absorbing slip cover that helps keep dust out of ports and a hard exterior shell to guard against bumps. The Commuter Series is available for $49.95. Alpha Glass is shatter resistant and scratch proof, and is compatible with all OtterBox cases.